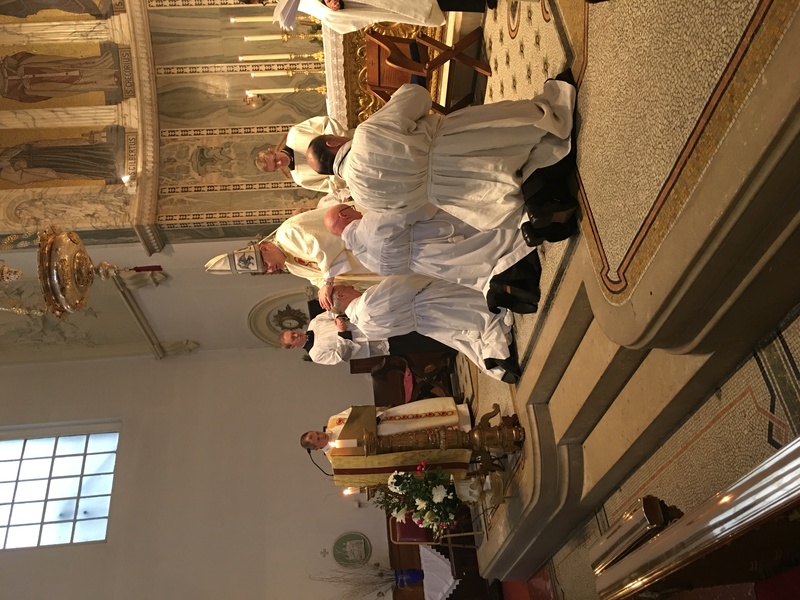 Last Saturday, the Right Rev’d John Wilson, titular bishop of Lindisfarne and auxiliary in Westminster, ordained to the diaconate three men for the diaconate, at the request of the Ordinary of the UK Ordinariate, The Right Rev’d Keith Newton. 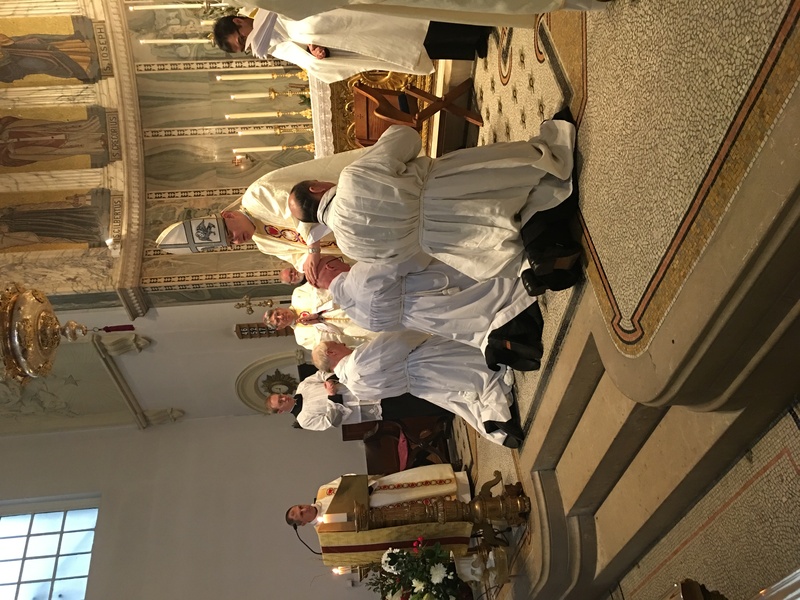 The three ordained were: Alistair Ferguson, Michael Thompson, & John Konstantin Tee. And what a lovely afternoon it was, in the finest Patrimonial tradition! 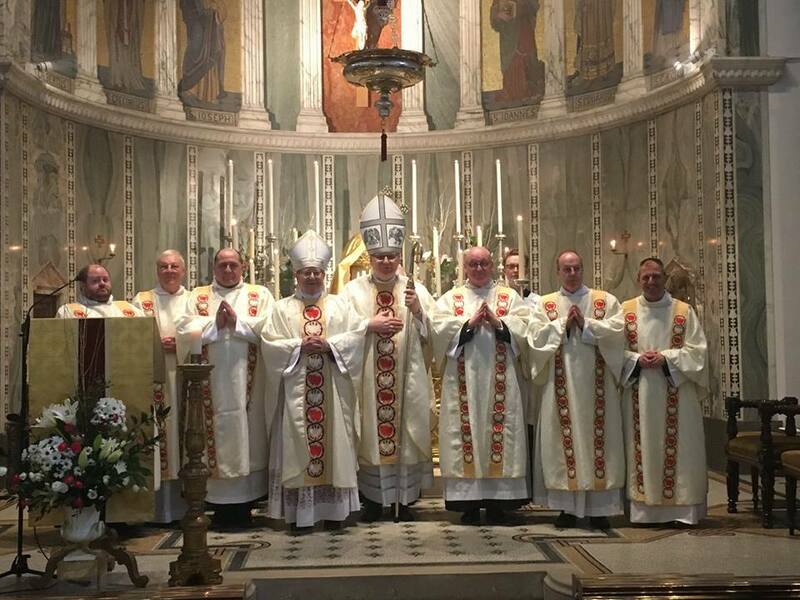 The setting, beautifully sung by the Warwick Street Choir, was Mozart’s Spatzenmesse, and the rite of Mass was the Ordinariate Use, using the Roman Pontifical for the rite of Ordination. 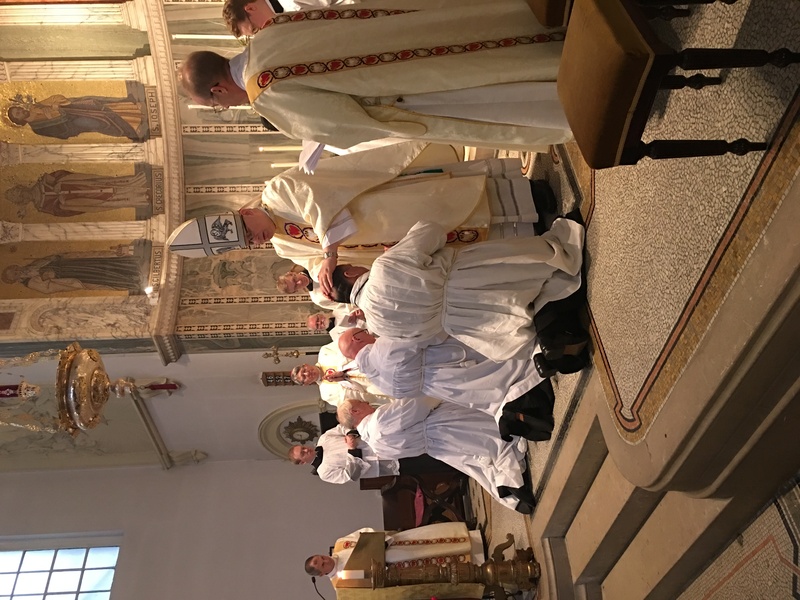 Bishop John was formerly an Anglican himself, having been, as Mgr Newton mentioned in his word of thanks at the end of Mass, a member of the Guild of the Servants of the Sanctuary.